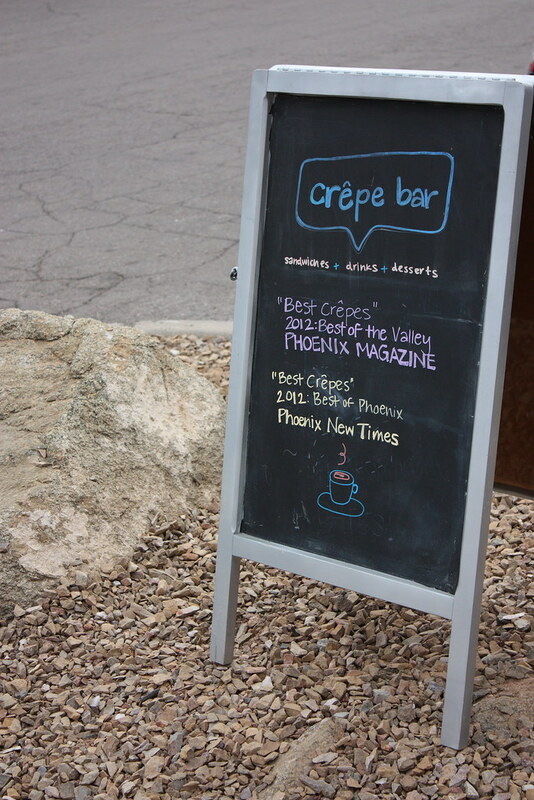 On a suggestion from some wonderful vendors at my Farmer’s Market, I made time this weekend to check out Crepe Bar. My sweet friend Colleen and I grabbed breakfast on an overcast Saturday morning and caught up on all of the important things we missed in each others lives over the past three years (it’s been too long since we’ve seen each other). This was the perfect venue for my breakfast with an old friend. 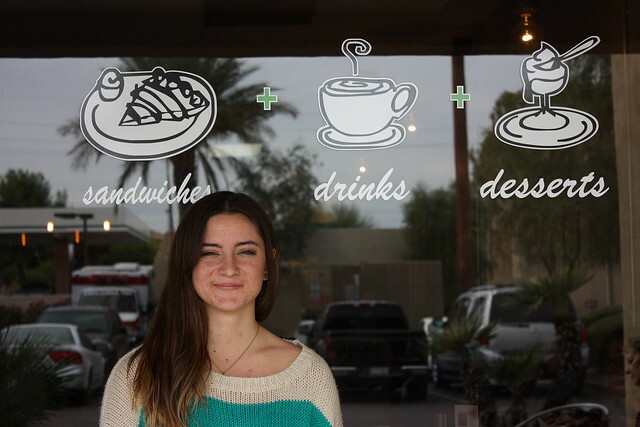 The food was great, the service was top notch, and my chai tea was adorable. The inside reminded me of a hip city coffee house and the food lived up to my expectations. Their menu is full of very unique crepes and I’m pretty excited to go back. We ordered two breakfast burritos which were chipotle crepes full of eggs, bacon, queso, and avocado salsa. For dessert, we split a maple butter crepe topped with bruleed bananas. My chai tea was a bit on the sweet side for me but had a good overall flavor. 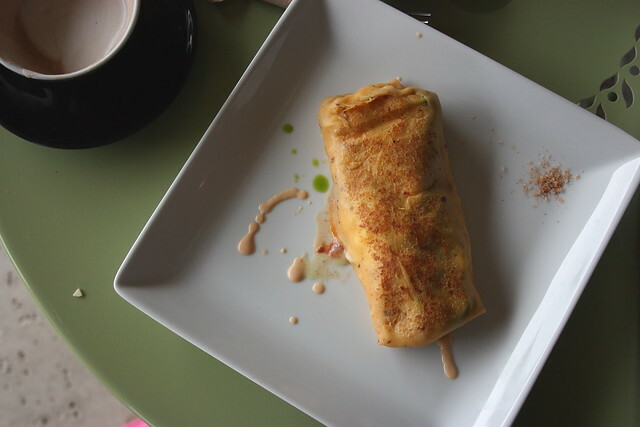 I loved the kick the chipotle crepe added to my breakfast burrito and was wowed by the presentation. 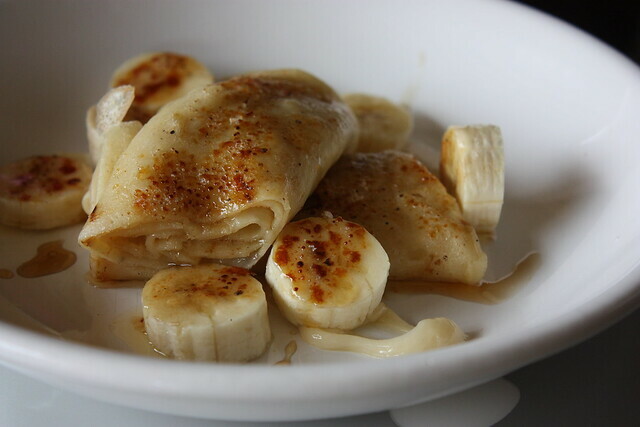 I don’t generally like sweets all that much but my maple butter crepe with bruleed bananas was ah-ma-zing. The maple butter had the most incredible flavor and the bruleed bananas were perfect. Like…. really perfect. All bananas in my life should be prepared like that. 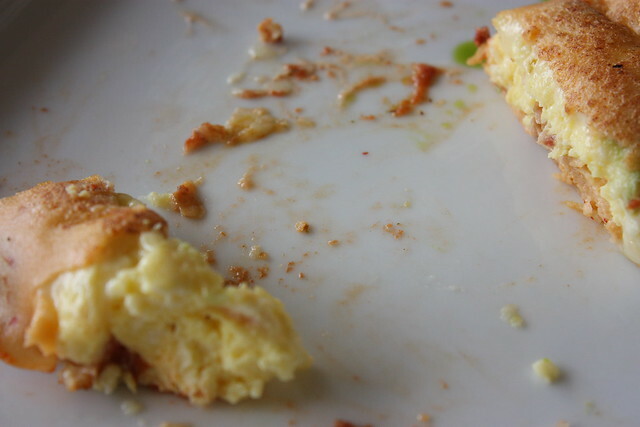 All in all I had a great time at Crepe Bar. Great service, amazing atmosphere, and quality food. I’ve really been missing Chicago recently and this was a little reminder that you don’t have to be in a big city to have a unique dining experience. I’ll leave you with this great video of Crepe Bar’s Papa K crepe being made!